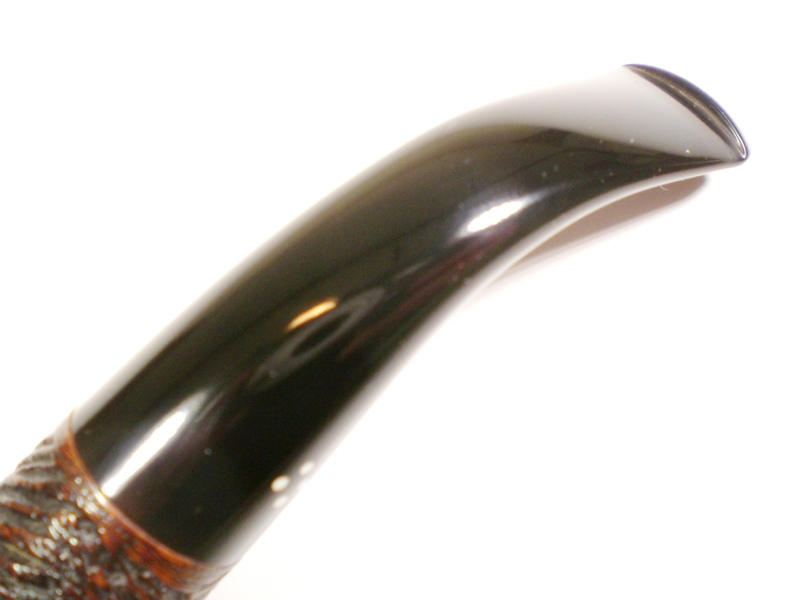 The Sasieni “Ashford” is a favorite Author shape. Earlier this year I found a tan, sandblasted “Ruff Root” version. This shape is also shown as Shape 88 on the Sasieni chart. 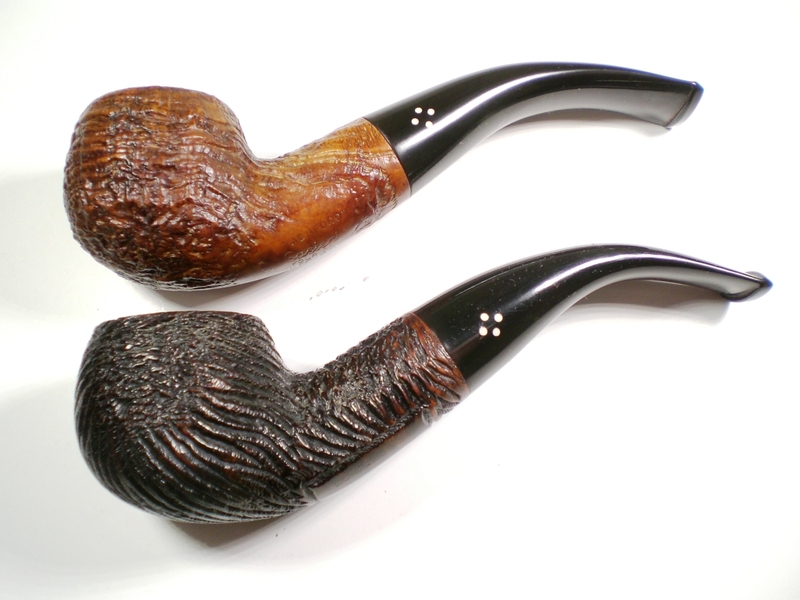 Sasieni’s unique “Rustic” finish is their rusticated and carved finish, which follows the grain line. Below is how Sasieni describes the finish. 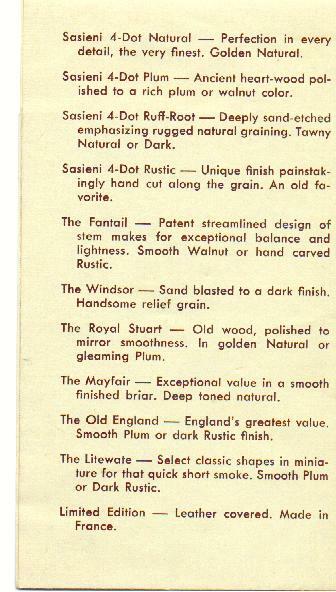 I was unable to determine exactly when the “Rustic” finish was started, but it is listed in a 1936 catalog page. 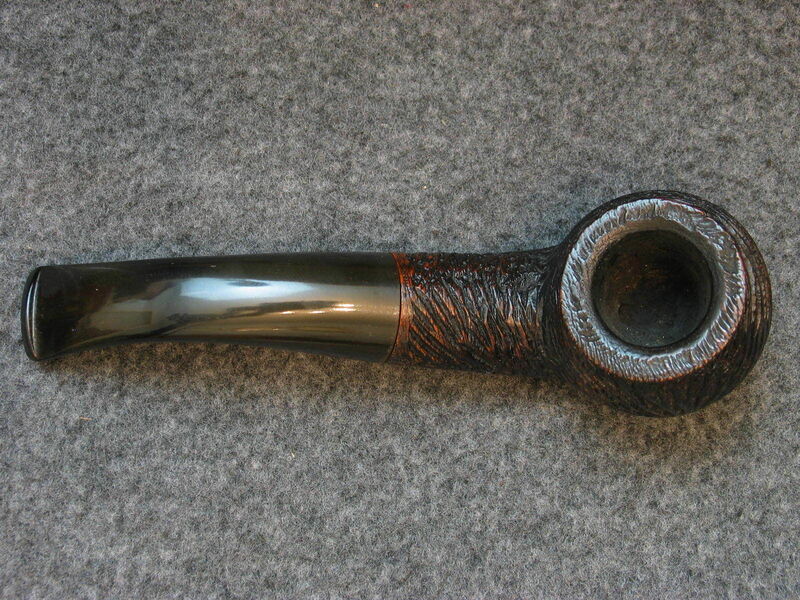 This pipe is a pre-Transition era piece, made between 1946 and 1979. 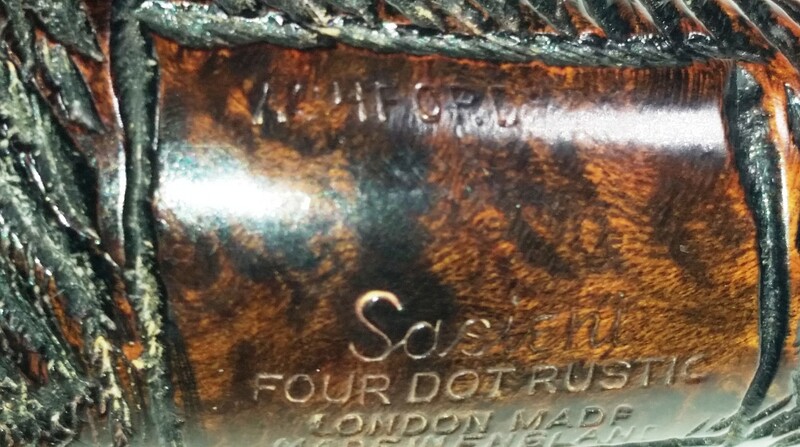 The use of “Four Dot”, the Sasieni script and Ashford town name identify the era of its manufacture. 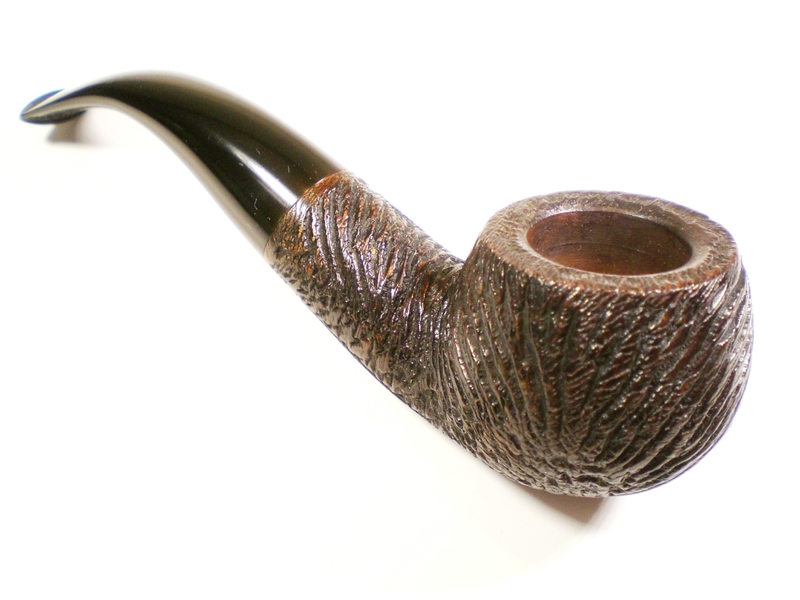 The pipe looked in excellent condition and I thought it just might require a mild clean-up. 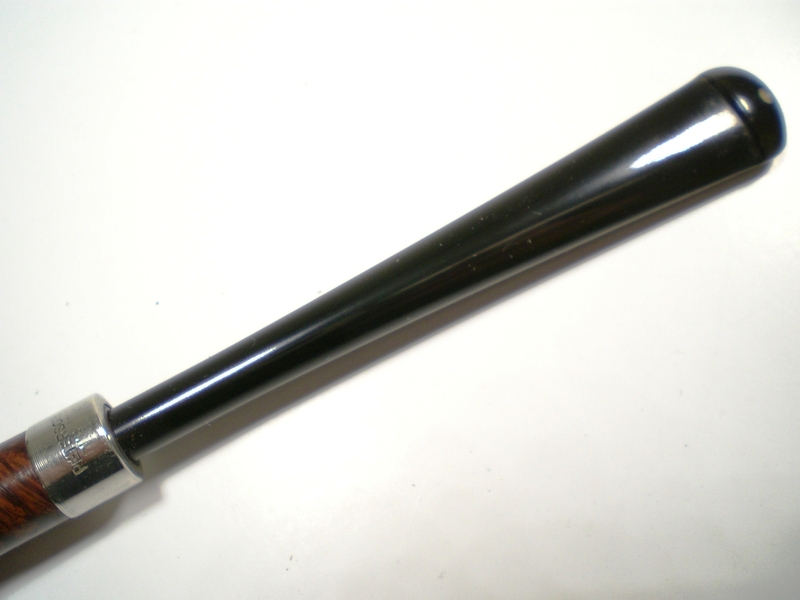 Below are pictures of the pipe from the Ebay ad. 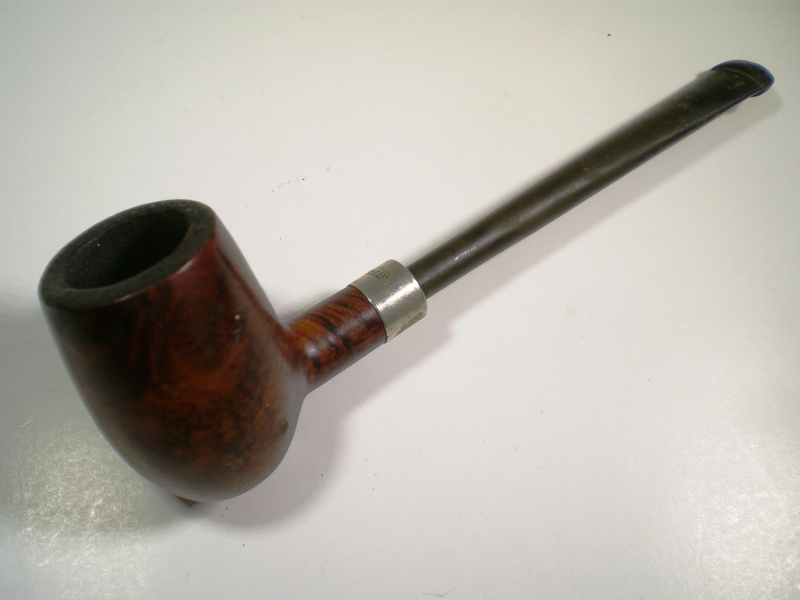 On delivery, the stem had more oxidation than visible in the Ebay pictures. There was some mild cake in the bowl, but once removed, it was in very good shape. I soaked the bowl with alcohol and sea salt. The stamping on the polished nomenclature area was very clear. As I mentioned, the stem had some mild oxidation. I started with 800 grit paper, then worked my way thru 1000, 1500 and 2000 grades. I then finished the stem with 8000 and 12000 grade micromesh. 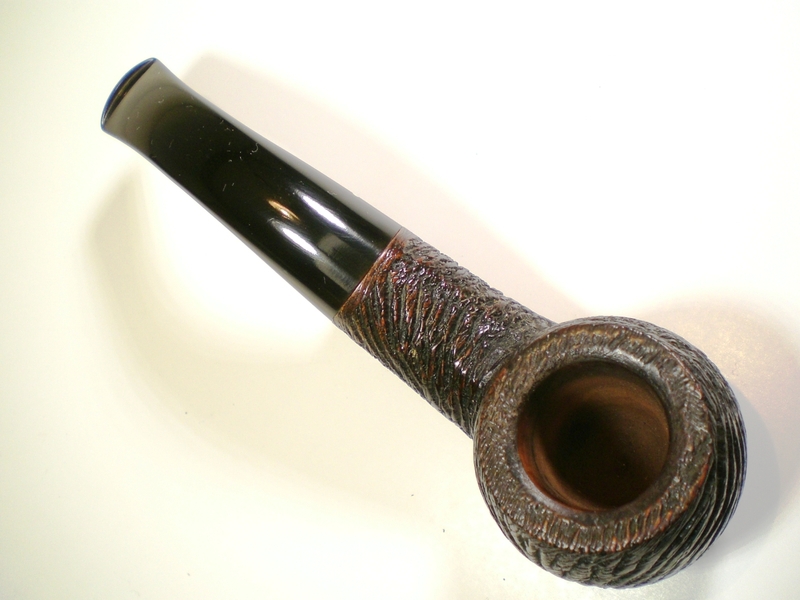 The stem was then buffed with white diamond rouge. 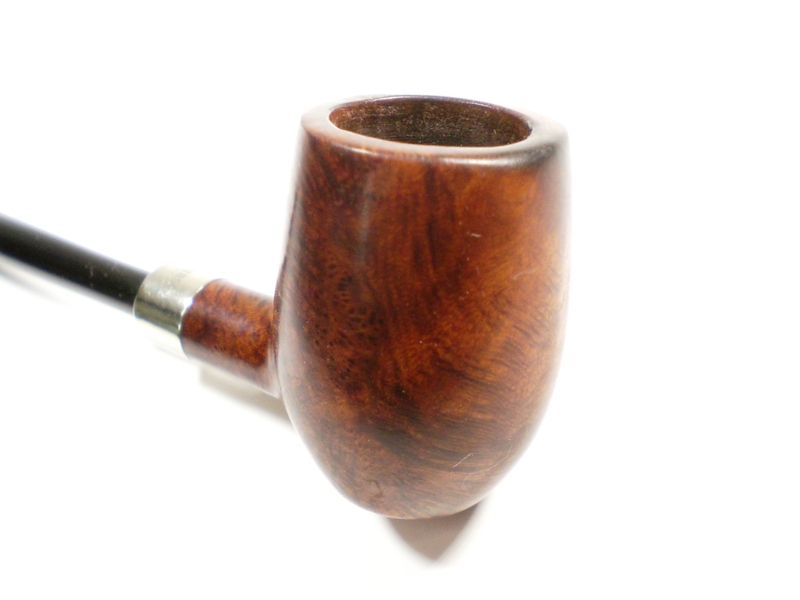 I hand polished the bowl with some Halycon wax and a cotton cloth. 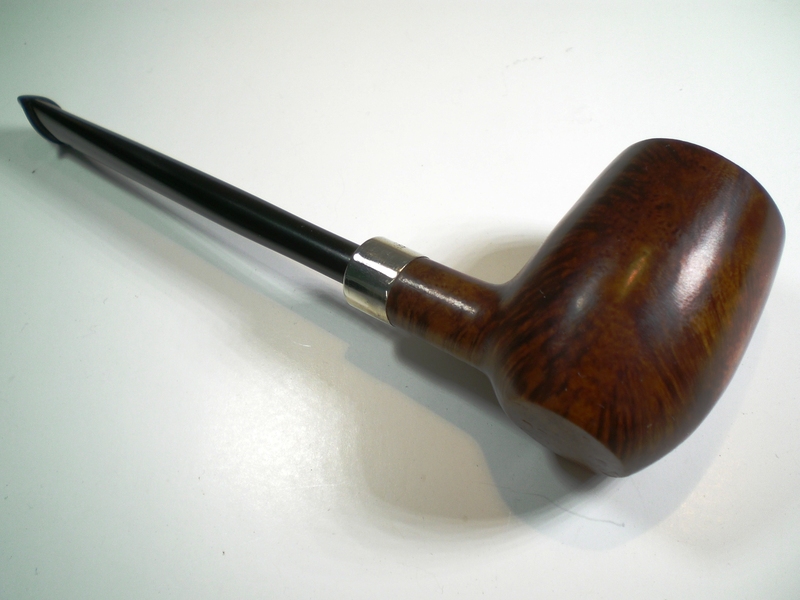 Below is the finished pipe. Interestingly, this Rustic version of the Ashford weigh 42 grams while the sand-blasted Ruff Root version is only 35 grams. And a shot of both pre-Transition era Ashfords, a Rustic and a Ruff Root. Interestingly, the Rustic is as mentioned 6 grams heavier and slightly larger overall. 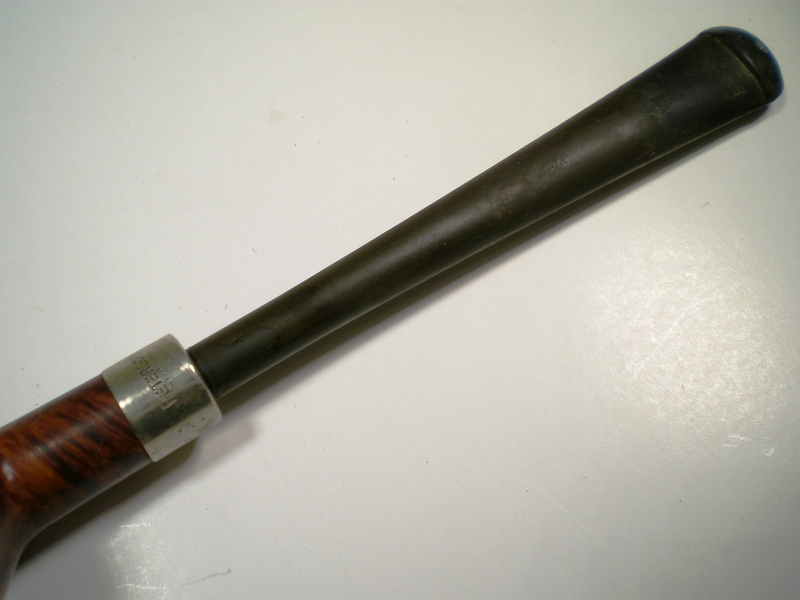 This entry was posted in Pipe Refurbishing Essays on December 1, 2014 by upshallfan. 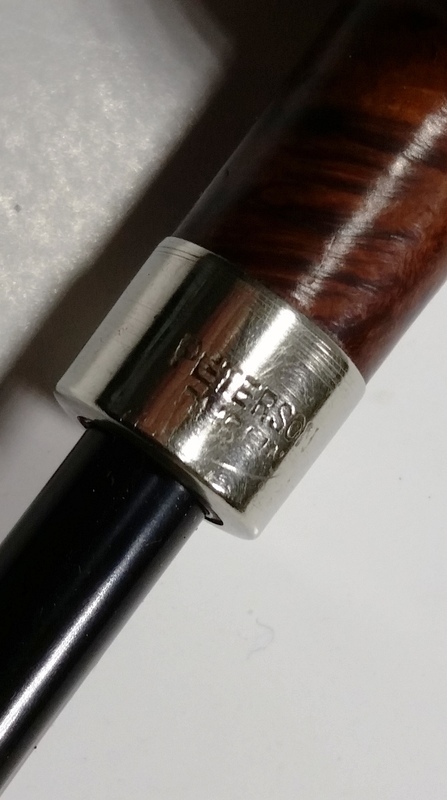 I found this diminutive Peterson “Barrel” at the JB Hayes shop in Winchester VA. 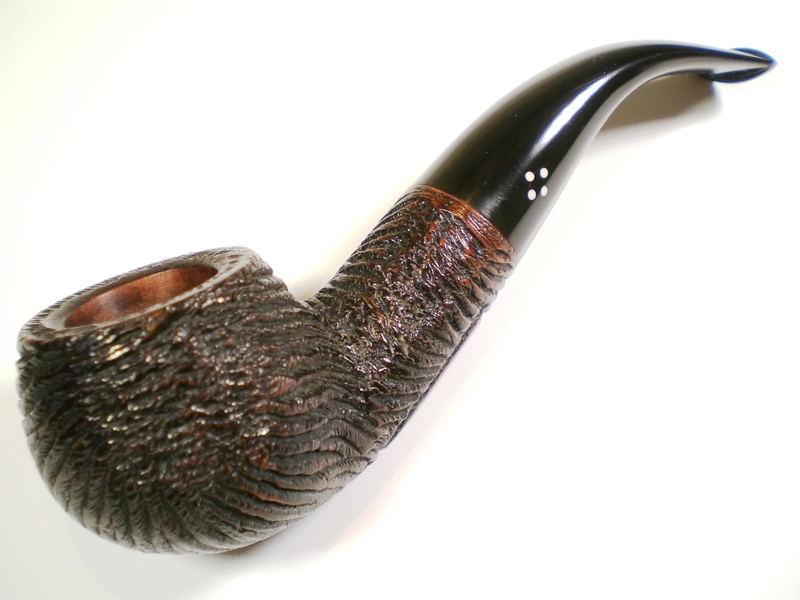 It was part of a large group of estate pipe recently brought into the shop. I actually picked it out of the “box-o’pipes” twice. I put it back the first time because I’m not a fan of the P-lip stem. 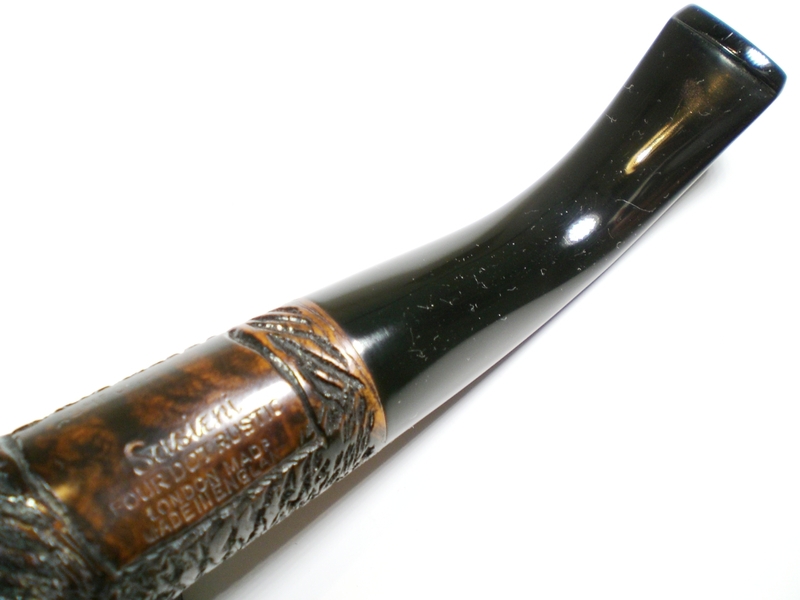 On the second visit, it was still there, right on top, and I couldn’t resist restoring the pipe. 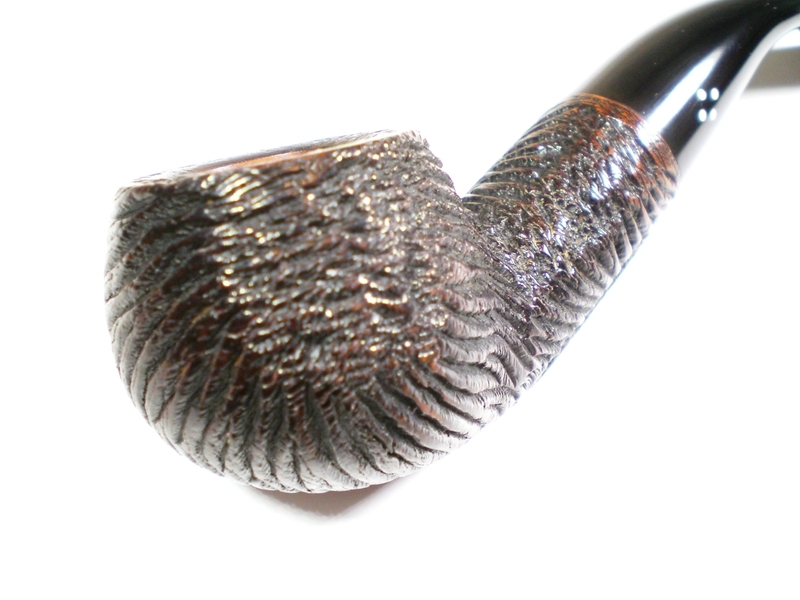 The pipe had some build-up and scorching on the rim and the military style stem had only light oxidation. 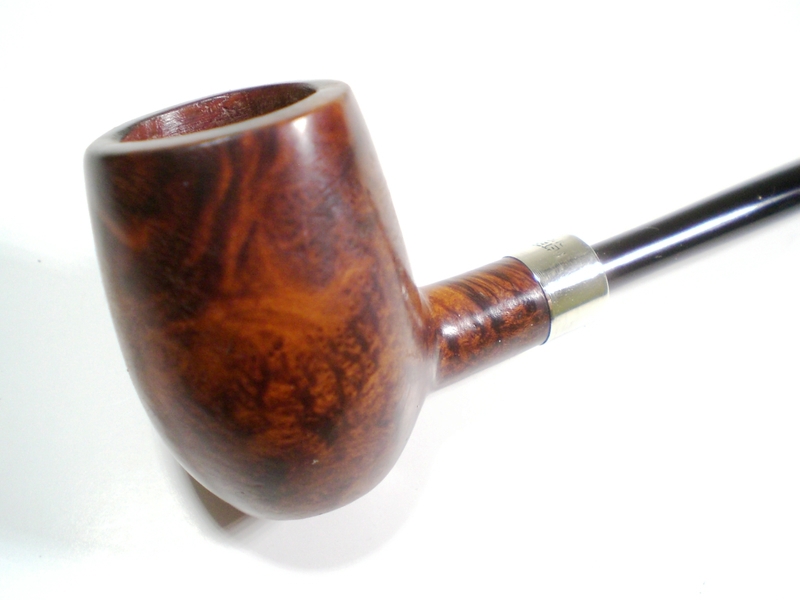 The pipe felt incredibly light and sure enough, it only weighed 22 grams. 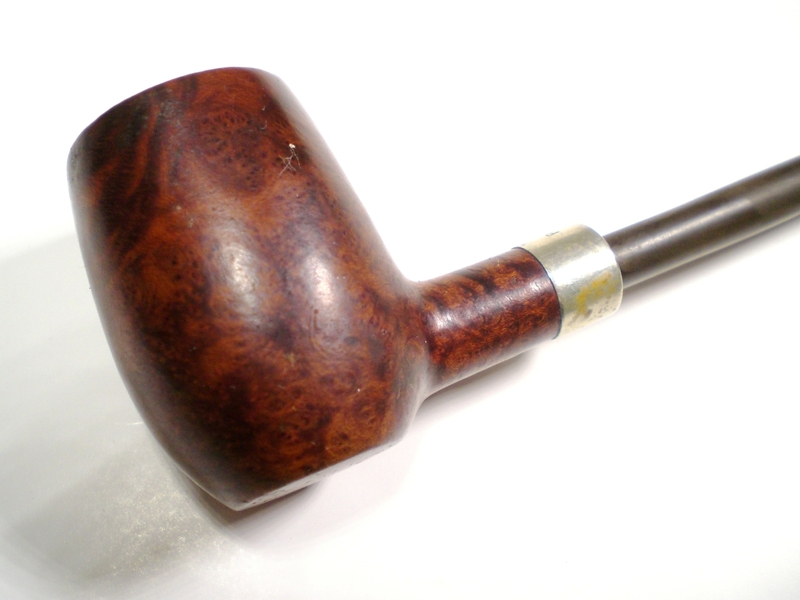 The air-hole to the p-lip was blocked but overall, it did not look like a difficult restoration. There was only a slight cake in the bowl and after removing it, I found the bowl to be in very good condition. I used spit and a cloth to remove the bowl top build-up and then a worn piece of 8,000 grit micromesh to lessen the rim darkening. 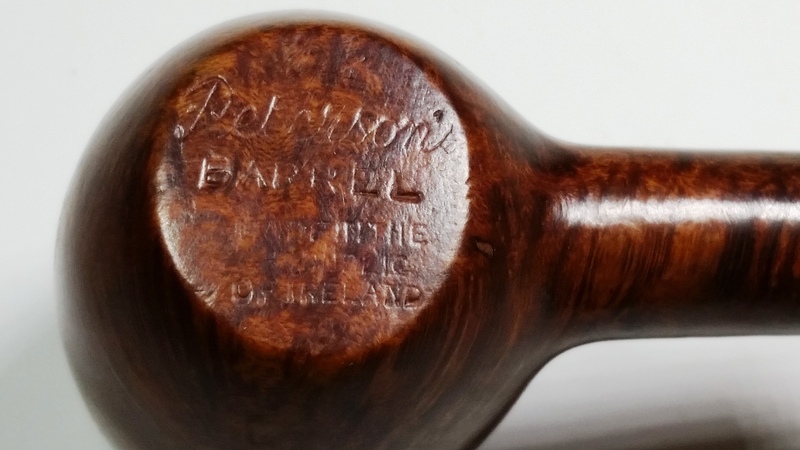 There was a scorch mark around the 5 o’clock position of the bowl top which the worn micromesh lessened considerably, without removing any of the stain. I soaked the bowl with alcohol and sea salt. 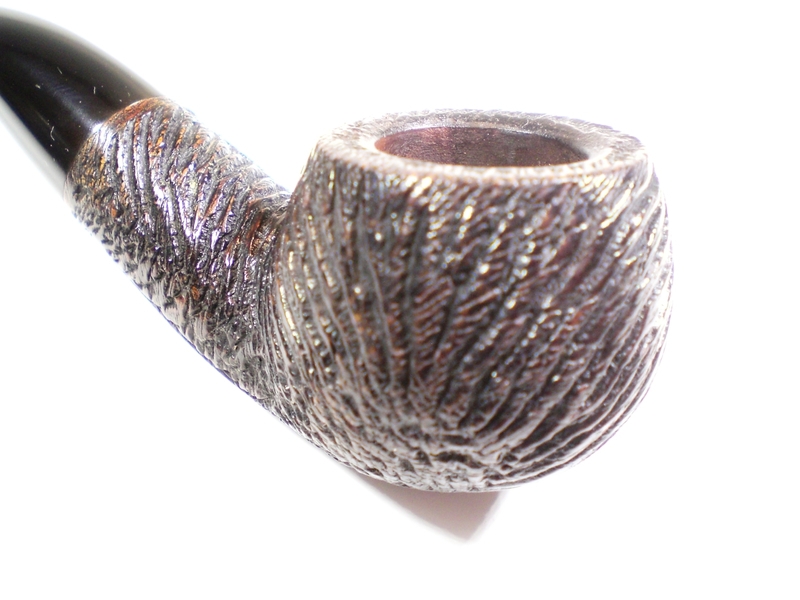 After soaking overnight, I buffed the bowl with white diamond rouge and several coats of carnuba wax, avoiding the nomenclature. A little metal polish was used on the shank ring. 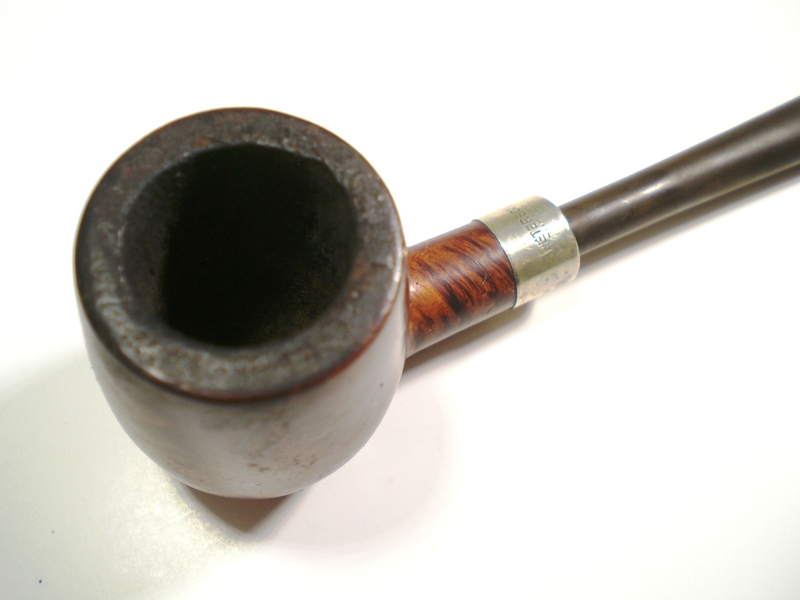 I used a very small pick to remove the build-up in the P-lip draft hole. The oxidation was removed using 800, 1000, 1500 and 2000 grit wet sandpaper. Then 8,000 and 12,000 grade micromesh sheets were used. 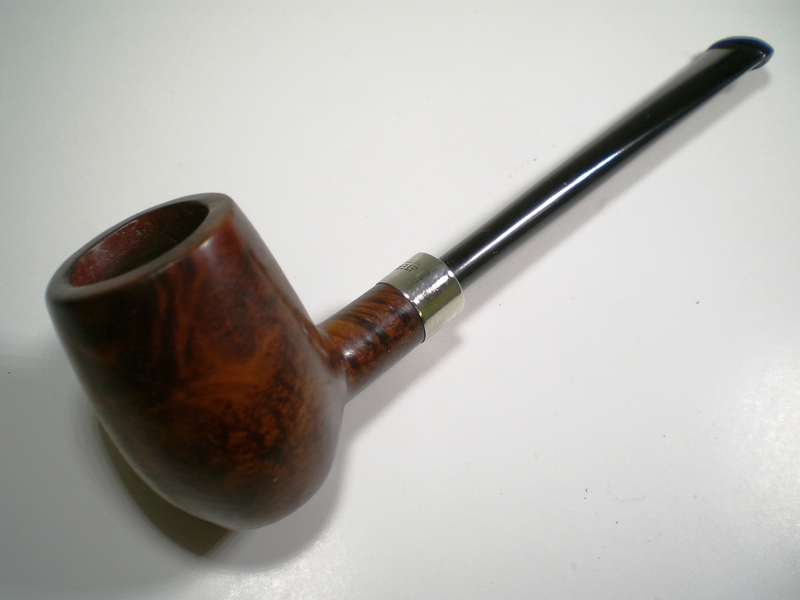 Finally, the stem was buffed lightly with white diamond rouge. 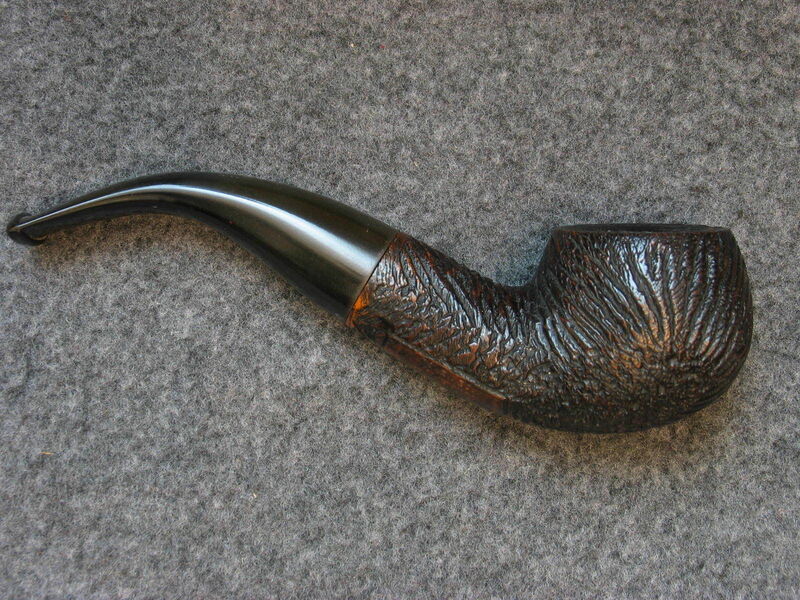 A member of the PIpesMagazine forum is the new owner of this little gem and reports it smoked very well. 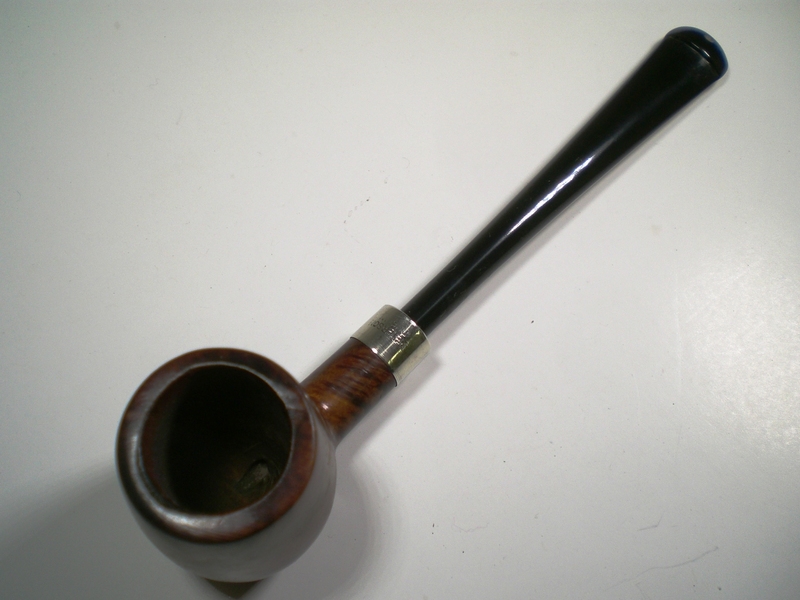 The bowl is surprisingly large for such a tiny pipe. This was one I mulled over keeping for myself and perhaps one day I’ll find one with a fish-tail stem. 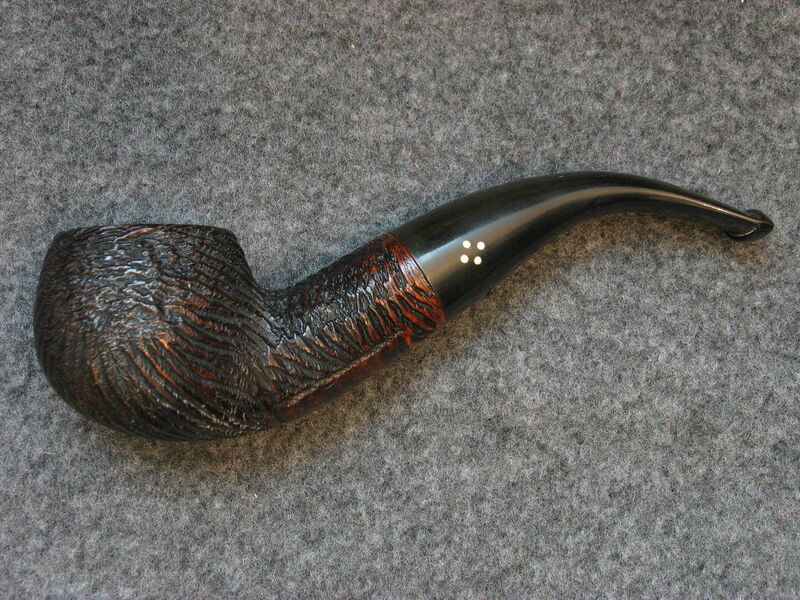 Below is the finished pipe.